So, you have to buy for a teen and you’re on a tight budget. Don’t worry despite wanting the latest and most expensive tech gadgets there are many other gifts that teen girls will love that won’t break the bank. 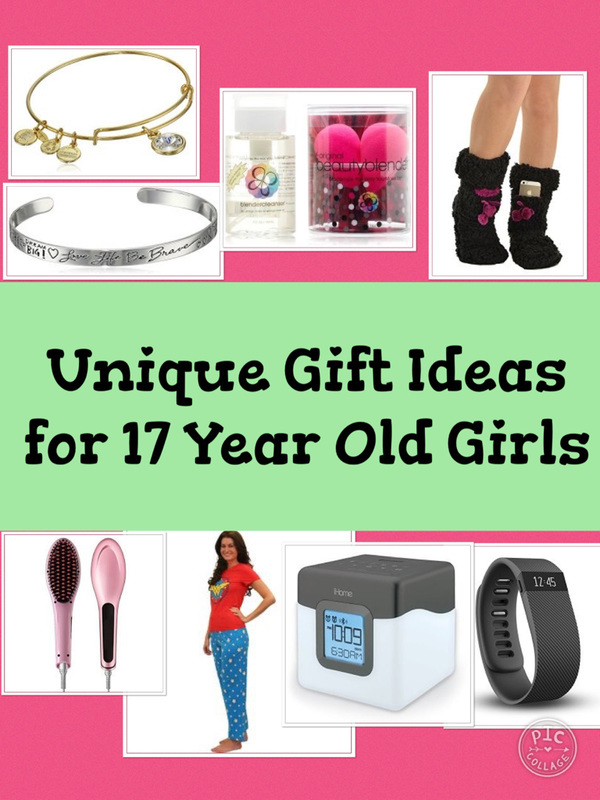 One idea is to give your teen a couple of token gifts to open on the day but make their main gift some money that they can use to spend on the sales after Christmas. Their money will go much further and they will be able to buy much more. As Christmas sales begin online on Christmas Day, they can even spend their money on the day. Teen girls love accessories and the great thing about this is that many of them are really inexpensive too. Ideas include lightweight scarves to dress up outfits. Winter accessories like hats, gloves and scarves are great ideas. Texting gloves which enable teens to text while wearing them are a bit different too. Some other ideas include clutch bags to have when going out. A wristlet is a great everyday gadget to hold your smartphone, money, keys, lipstick and any cards you may have. A warm chunky infinity scarf makes a fantastic gift during the Christmas and winter months. They are fantastic for keeping super warm when the weather is cold ouside. They can be worn with all types of outfit. They are perfect for outdoor use but can be worn indoors as well. The really good thing about an infinity scarf is that you just put it around your neck. She won't have to worry much about how to arrange the scarf. It makes a lovely accessory gift. The one featured is a lovely deep burgundy color but of course there are many other colors to choose from. Currently just under $12, a selfie stick makes a fun, inexpensive gift for teens who love to take photos of them and their friends. It is just 7.1 inches in length when folded so will easily fit into a pocket or a bag. The size makes it a fantastic stocking filler or secret santa gift. When ready to use, extend it (it has a maximum length of 31.5 inches) and can extend anywhere in between. So it's easy to find the perfect length to take that photo. To use just turn it on, pair it to your smartphone and start taking pics. There is a button LED indicator when powering on, connecting, pairing and turning it off as well. This cute, beautifully colored canvas wallet makes a beautiful gift for any teen. It can hold an iPhone 6s / 6 and other smartphones udner 5.1 inches. It could also hold cash, over 4 credit cards, checkbooks, bills and lipsticks. She can take it out just on it's own and have the strap around her wrist for security. But it works equally well inside a bigger bag. Attach the strap to something inside the bag, so you don't have to hunt around for your phone and other essentials when it's hidden in the bottom. Teen girls of all ages often spend nights away from home whether that be at sleepovers or at houses. A mini toiletry bag filled with mini toiletries or cosmetics makes a really useful and cute gift idea. You can buy mini shower gel, facial wash, toothpaste, shampoo and conditioner. Or fill it up with mini cosmetics, an eyeshadow, mascara, lip balms and mini perfumes. ​Girls and women of all ages love to do their nails. There are all kinds of inexpensive nail gifts They include nail varnishes, to nail art kits with utensils, a manicure or pedicure set and nail stickers such as janberry nails (which stick onto your nails and give a polished look). Or you could take them to have their nails done professionally. The hair chalk featured has 6 blendable colors. It glides on hair easily. It sets quickly and there's no mess. Each tube rolls up the color and rubs on hair smoothly. All colors blend. Also, it also doesn't get all over your hands. The chalk is semi permanent and will stay in hair for up to three days. There are lots of cool small make up sets that make fantastic gifts and are inexpensive too. The lip gloss set opposite is one idea. Other ideas include a eye shadow or nail varnish set. There's tons of inexpensive pieces of jewelry that make lovely presents. She will wear it and it doesn't matter if she loses it or it gets damaged as it's easily replaced. There are shops such as Claires that teens love and do lots of cheaper pendants, earrings and bracelets as well as some cool clothes and hair accessories. A letter pendant with her initial makes a lovely idea especially again for the younger teen. The pendant featured comes in all the letters of the alphabet. It is 925 sterling silver and comes with a chain. There are lots of other ideas of pendants that are inexpensive but will be worn. There are pendants which feature inspirational messages such as "the journey is the reward" and "she believed she could so she did"
Have a look at the amazon collection of jewelry to get some ideas like these. ​Socks may sound boring but there are some really cute gifts. Cosy socks are great for winter. Slipper socks are fab for wearing indoors around the home. There are socks you can buy with an phone pocket where she can keep her cell phone. Snoozies are fun slipper socks that come in all kinds of designs and colors including fun animal snoozies and bright funky patterns. They are perfect for keeping her feet warm inside the house during the winter. They features a non skid sole on the bottom ​. so they can be word on hardwood or tile floors and are machine washable and can be tumble dried on a low heat too. They come in different as well. It's unlikely you'll hear a teen girl ask for a book, but then again she probably doesn't know what fun books are out there. Books can make one of the easiest gifts you can buy a teen girl, she will read it and some of them can have a life changing affect. Don't believe me, check out a couple of the ideas below. The book to get the teen girl very well may depend on her age and maturity. This book has the potential to be life changing, It a step-by-step guide to help teens improve their self-image, build friendships, resist peer pressure, achieve their goals, and much more. It's written for teens and full of cartoons, diagram, quotes and amazing stories from teens all over the world. The format the book makes it easy to read and take in the information. It's aimed at teens but there's probably lots adults can take away too. This makes it a fab book for her to have on her bedside table as she gets older so she can dip in and out of it and keep reminding herself of all the valuable information inside. This is a fab book that is jam packed full of creative and practical things to do outside of high school which will add value to her life. You can browse through the contents over on amazon to see all the ideas in the book. There are a couple of risque suggestions that may not be entirely adult approved, so it may be worth checking through all the contents before buying it for younger teens. This is a fabulous books for older teenage girls who may be off to college very shortly or perhaps she has just started. It makes a fantastic gift as it covers so many issues she may encounter at college but may not quite be prepared for. It covers everything including college living, social networks, studying and classes, dating, the party game and there is financial advice too. A great thing about this book is that it's full of humor as you may imagine from the title. This helps make it easy to read and it's a good book to dip in and out of when you need it. If she is of to college and studying there are tons of books that may help her from books on how to study effectively to money management. 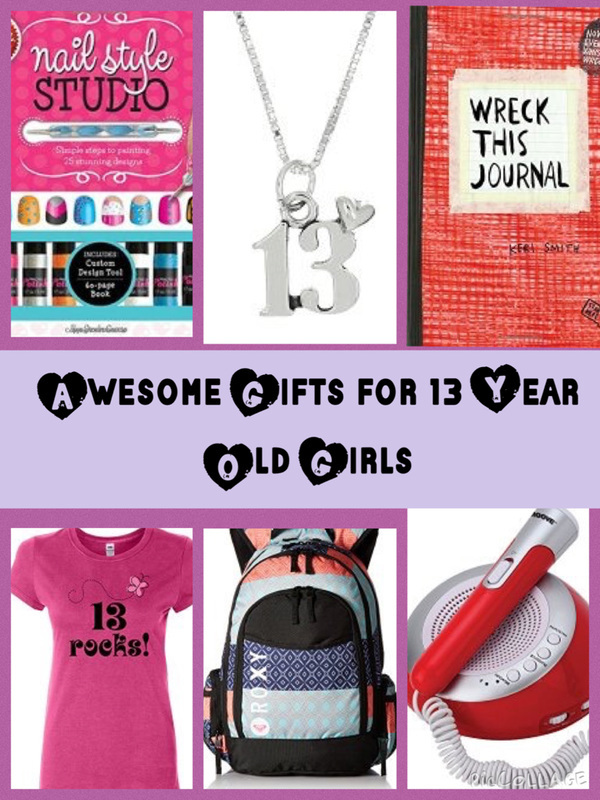 There are a multitude of gifts you can make for a teen girl if you have a little time and creativity. Some really simple ideas include making up a hamper of beauty and hair products for a teen girl. Or just doing something simple like putting a nail file and nail polish together and tying it with a ribbon. If you can sew there are cosmetic bags, wallets and other accessories you can make. And crafty people can make jewelry and other things to wear too. Hopefully this article has given you some ideas and has inspired some more too. Start early - If you can afford it start shopping in October. Shops often compete to catch the early bird and there are often some excellent offers occuring before the majority of shoppers start to shop. Shop around - always use comparison sites to compare prices before you buy. You can sometimes save ⅓ of the price just by shopping around. There are tons of phone, tablet and laptop gadgets that are inexpensive but really useful. Here are some ideas:Phone covers or case - There are some really beautiful phone covers and cases in all kinds of designs. Consider choosing one that offers excellent protection for her phone too. It gives peace of mind too. Earbuds - there are many inexpensive sets of earbuds that are fantastic for listening to music on the go. Bluetooth speakers - there are bluetooth speakers that will wirelessly stream music from a cell phone or tablet with bluetooth. There are some very inexpensive ones available for around $20. The sound quality isn't going to be as good as with the high end bluetooth speakers but many of them still pack a punch for the size of the speaker. She can connect this little speaker via bluetooth to her phone and stream her playlists and favorite songs to the speaker. ​It's small and super portable so easy to carry around the house and listen to her music in different rooms. Or she can put it in her bag and take to her friend's house. It also features handsfree talking so you can take calls without picking up your phone. It's water resistant so can be placed on the wall of the shower and listened to as well. This is probably the lowest end of the market for these types of speakers. You can spend a bit more and get higher quality sound and features if you prefer. If she likes arts and crafts there lots of fun craft gifts such as small jewelry making kits that won't blow the budget. Also items such as a nice pen set or a journal or scrapbook. If she is creative but also has a rebellious streak, check out the wreck my journal book below. This book is fun, inspires you to be creative, break the rules and is a fantastic stress reliever too. it "encourges journalers to engage in destructive acts--poking holes through pages, adding photos and defacing them, painting pages with coffee, coloring outside the lines, and more--in order to experience the true creative process." The book is a great choice for artistic types. It's interactive and there's no right or wrong with it. It's a good exercise to wreck the journal when you need to give your braina break from doing all the other stuff you're expected to do. Do all the things you don't normally do with a book and get wrecking this journal. 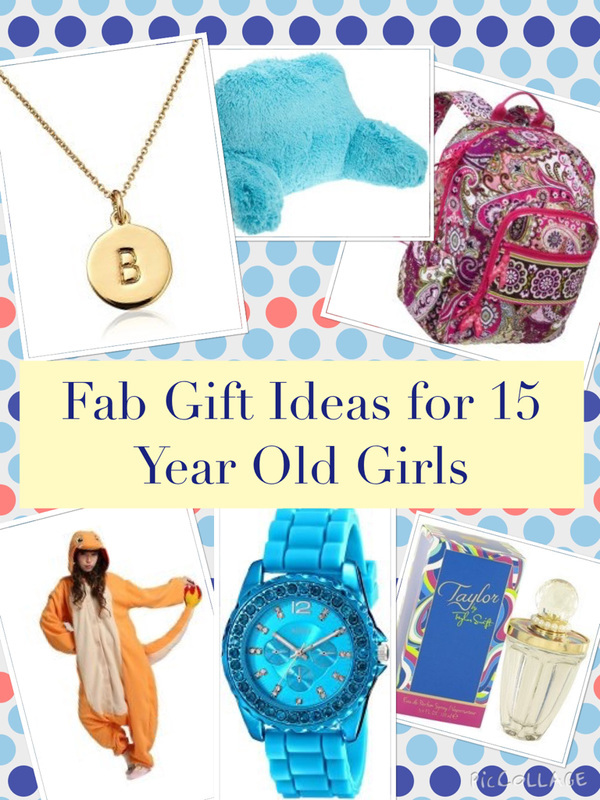 There are some fab gift ideas that just offer pure fun. Some ideas include board games, puzzle games such as the well know Perplexus epic or what about a virtual reality headset like the google cardboard kit below. A google cardboard kit will allow her to change her smart phone into a 3D viewing machine. Download some of the 3D apps. Slot the phone into the front of the google cardboard, Wear it on your head and enjoy some 3D magic. Play 3D games, watch 3D movies and experience walking around new cities or a rollercoaster ride. Lots of fun and the cardboard set is only aroun $11 or $12. If you can pay a bit more there are other VR headsets availble for your smartphones too. They are the same concept but made out of different materials.